After the death of the co-founder Christian Lepper in 2008, Schmidt and Sommerlade kept running the studio’s great work. Characteristic to their design is the creative combination of formal and constructive elements. This combination is reflected in designs for well-known manufacturers of residential and contract furniture such as Thonet, Kusch+Co and Tonon. The various design awards that "Lepper Schmidt Sommerlade Designer Studio" has been receiving since its foundation are a recognition of their work quality. In this team’s opinion: “Free creative interaction with architects, designers and artists can, and certainly should, lead to inspiration within the design of standard industrial mass products. Design to us means, finding within the solutions the exceptional one. Design is fun!" 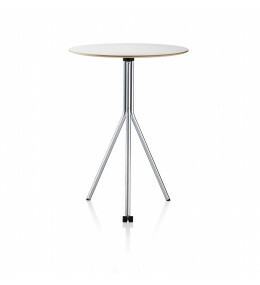 Sleight UltraLight Table is the world’s lightest folding table. Easy to set up by just one person if necessary. 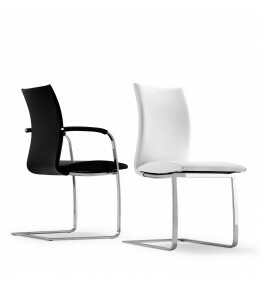 Symbol Chair and armchair with skidbase. 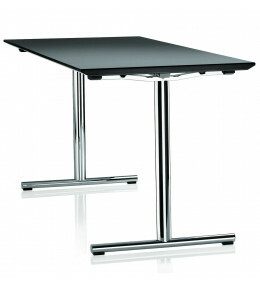 Frame in stylish chrome matt metal. 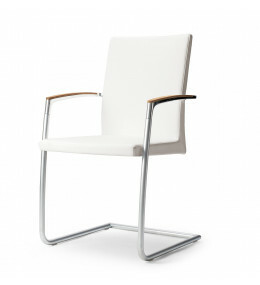 Swing Chair is an elegant addition to conference rooms and training areas. Available with or without armrests. 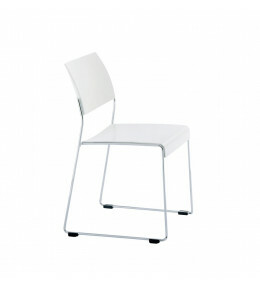 Linos Plastic Chair is robust, hygienic, easy to clean and affordable. Linkable with optional row numbering. 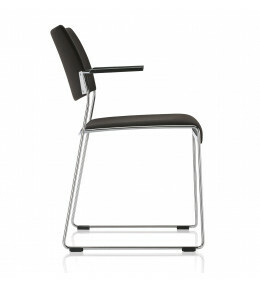 Linos Multipurpose Chair has an optional patented ENS digital row & seat identification system. 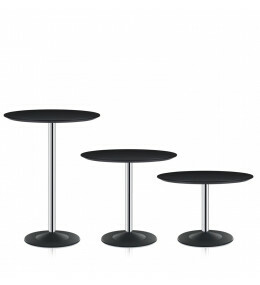 Cross.Flip Table is foldable and suitable to be used in breakout areas, canteens, cafeterias, bars and bistros. 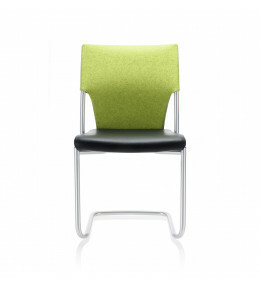 Drive Cantilever Chair is perfect for boardrooms, meeting or conference rooms, visitors and general office use. 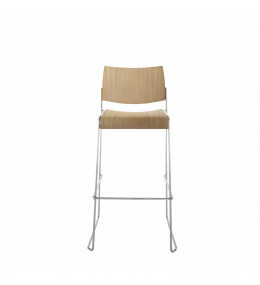 Linos Bar Stool features a solid steel chromed sled-base frame. Seat and back in moulded laminated beech wood. Upon request, the Cross Table Pedestal can be fitted with table tops up to 150cm in diameter seating up to eight people.